My hamster story began last year. 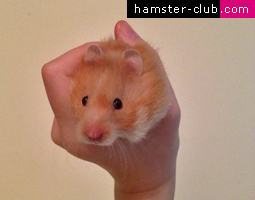 That was when I met one of the hamsters that taught me that patience meant everything and that all living creatures could love with time. She was found by my friend in a small local pet store. She was kept with other Syrian hamsters and clearly did not feel safe, screeching at anything that came remotely close to touching her. She was also suspected to be pregnant at the time (she wasn't though). My friend scooped her up and immediately brought her to me. At first, she was terrified of me, the slightest of movements caused her to cry and if she was off the ground; to launch herself off without a second thought, plummeting to the ground. I remember just crying at the idea that she was so nervous and so scared. I honestly thought we were at some sort of loss but then, I knew I couldn't give up on her. 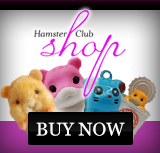 Not if I never gave up on any hamsters I had ever owned then and previously. Day by day was spent slowly taming her, associating my voice with positive things, and slowly helping her earn trust in humans again. We named her Raea. I thought of that name after the words 'Ray of Sunshine' floated in my mind from her beautiful cinnamon coat and bright ruby eyes. I had expected that our adventure would take months, but it didn't. Raea came to trust me in weeks' time and soon, I was slowly able to scoop her up and she wouldn't cry. She wouldn't jump. She wouldn't tremble. She was able to trust me and knew then that she wasn't going to be harmed. We spent a good few months together where her antics just made me smile so much and be so fortunate that she was in my life for the time that she was, I couldn't believe that this little doll had been the same little hamster just months back. Our adventures sadly ended one unexpected evening, when she had passed in her sleep, coiled together gently and looking truly peaceful and happy with life. She passed away the same night as another Syrian I also had at the time, both of which were complete opposites, but the sweetest of hamsters I had ever known. 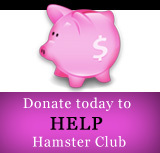 My story still goes on, helping other hamsters but hers has inspired me so much more than what people think it has.